Print photos quickly, easily and for FREE! No subscriptions. No commitments. Just free prints! 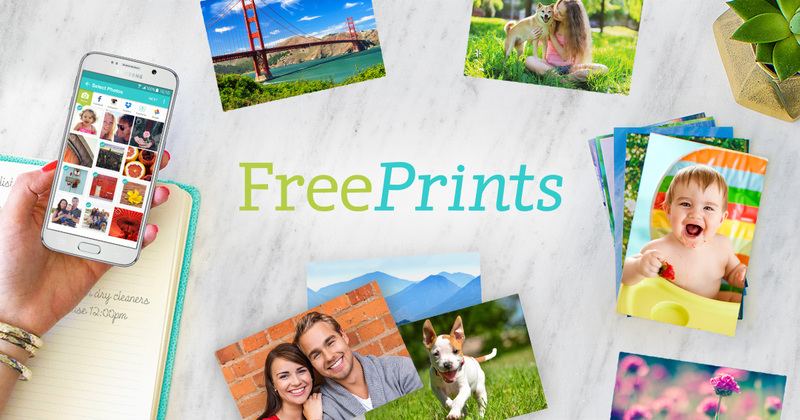 Order up to 85 FREE 4×6 photo prints per month right from your iPhone or iPad. That’s 1,000 FREE prints a year! And order other sizes for next to nothing. We print your photos on your choice of deluxe glossy or premium matte photo paper. And we never compromise when it comes to quality. At FreePrints we only use photo paper from Kodak and Fujifilm. In a mobile world, all of our most important photos live on our phones and tablets, and yet there’s never been an easy way to get them printed. After one too many fights with USB sticks, photo kiosks, and unreliable websites, we set out to solve this problem: Enter FreePrints. With just a few taps, you can select your favorite photos and have them headed straight to your mailbox. And best of all: It’s free! Millions of photos and countless stories later, we are honored to have touched so many lives.